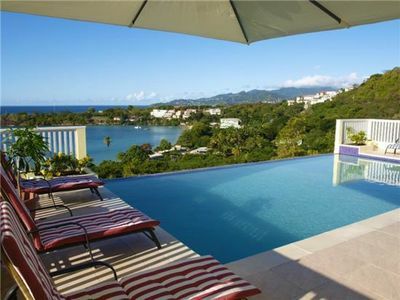 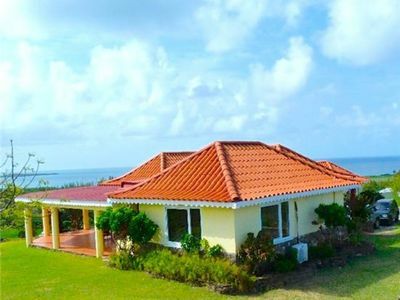 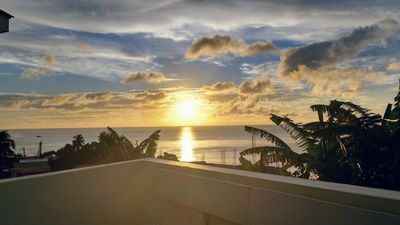 LITTLE BLUE is a luxurious, comfortable and modern bayfront villa located in the affluent L’Anse aux Epines area on the spectacular South East coast of Grenada. 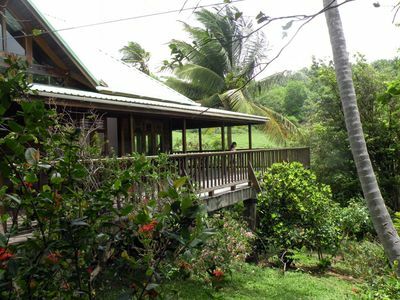 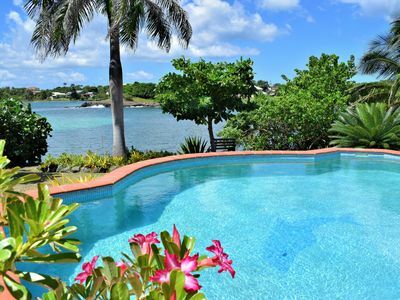 This beautiful villa sits in a sheltered cove and is surrounded by a small tropical garden. 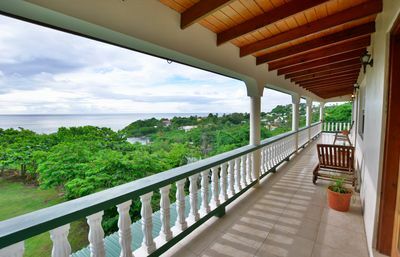 A large terrace and dining area overlooks a calm, palm-filled bay with views out to sea. 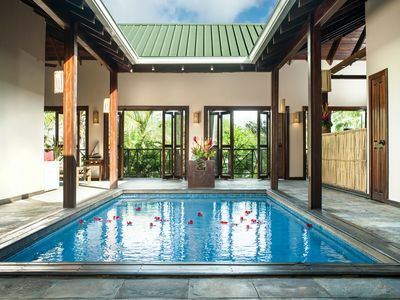 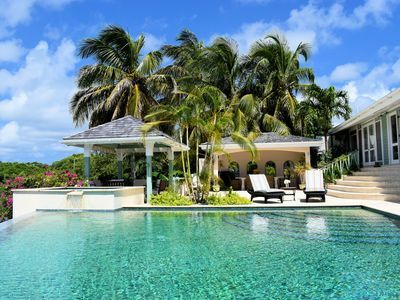 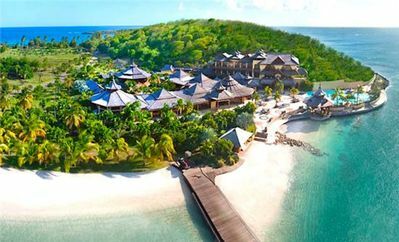 A turquoise infinity pool and separate lounging pool sit alongside a breezy and sun filled gazebo. 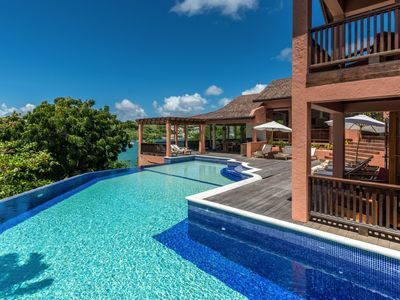 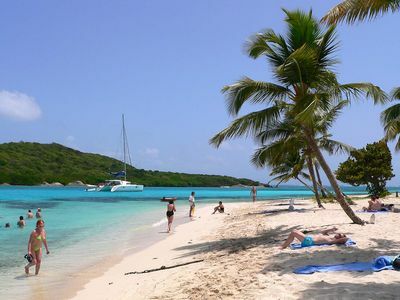 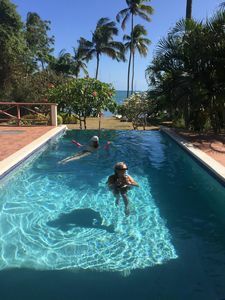 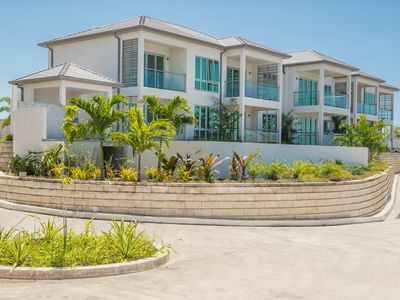 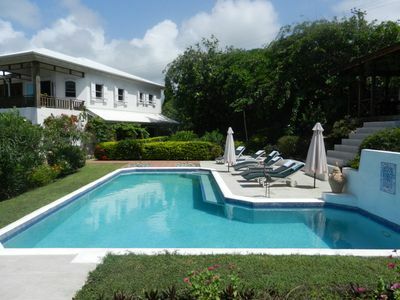 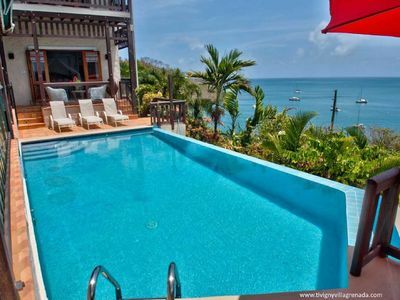 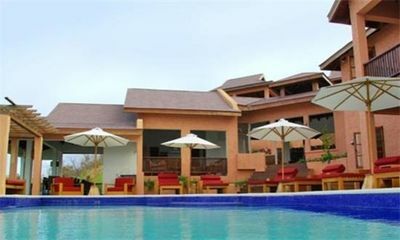 The luxury villa is a 20 minute drive from Grenada airport and 10 minutes from the shops and amenities of Grand Anse beach. 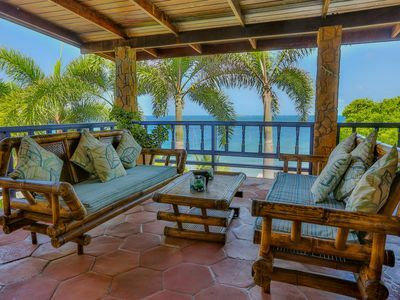 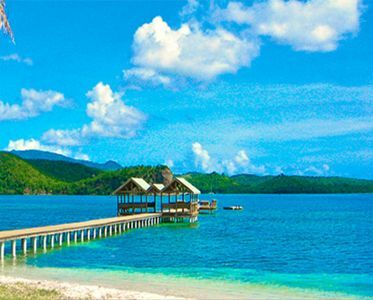 There are several excellent restaurants within a few minutes’ drive, as well as a number of other stunning beaches within close proximity. 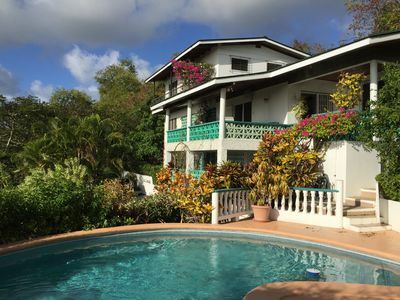 Designed on one level (with steep steps down to the terrace) and sleeping 8 in 4 bedrooms, all en suite, the villa is spacious and practical and is stylishly furnished for relaxation and comfort on your holiday. 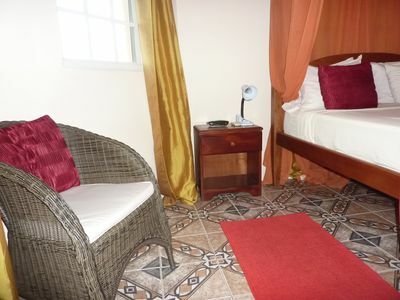 The kitchen is fully fitted with gas oven, microwave and a wide range of crockery and cooking implements.